Bring a touch of shimmer to your home without having to mix glitter with wall paint. Add character and fun to any room with Benjamin Moore’s Studio Finishes® Glitter Effect (311), a clear, low lustre finish that creates the look of glitter wall paint or sparkle wallpaper with the ease of applying a topcoat. Ideal for a child’s bedroom, an accent wall, or even a piece of furniture, it is the perfect finish for an iridescent pop over any paint color in your home. A clear finish with a low lustre sheen, Glitter Effect can be applied over nearly any wall color or interior surface, turning ordinary paint into sparkle paint. While the glitter may be easier to see over lighter colors, the tiny specks of reflective material in its finish catch the light, adding a whimsical twinkle to most rooms or painted furnishings. From pink glitter walls to gold glitter walls and even black glitter walls, shimmer in any paint color is within reach. When applying glitter to walls, select rooms where sconces or table lamps will draw out its shine. Glitter looks particularly lovely by incandescent light and candlelight, which emphasize its twinkling, reflective qualities. One to two coats of Glitter Effect can be applied depending on your preference. The key to successfully painting glitter walls is to work on a properly prepared surface. Before you begin your project, clean your walls thoroughly and repair any protruding nails or other imperfections. If you are starting from scratch and are going to be painting your walls with a base color as part of your glitter project, make sure to sand down any rough spots and prime surfaces with a top-quality primer before painting. Apply one to two coats of Glitter Effect as a topcoat. Use Glitter Effect as a veil of iridescence on furniture or craft projects. Try it over a painted toy box to protect the finish and add a touch of magic. Consider a topcoat on chairs and chests: because it dries to a clear, durable, washable finish, its shimmer is ideal for any kind of furniture. From bringing a surprising sparkle where guests will least expect it, to lending an elegant, ethereal quality to more formal setting, Glitter Effect has something for every homeowner eager to tap into their creative side. 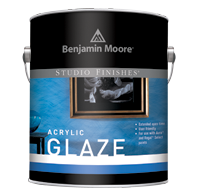 Studio Finishes is only available at local paint and hardware stores authorized to sell Benjamin Moore. Stop by a local store to ask for more details and buy glitter wall paint supplies, or use our store locator to find a retailer near you. Have More Questions? 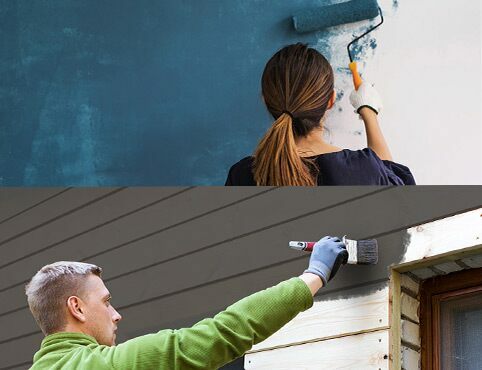 Visit your local Benjamin Moore store or contact Customer Support.